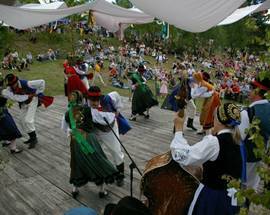 The Kashubians are a true ethnic minority, distinct from the Poles in both language and culture. Originally western Slavs with ethnic links to the Poles, the Kashubians are believed to have settled in the area around 1,500 years ago, although the first records date from the 13th century when the Pomeranian Dukes included ‘Duke of Kashubia’ among their illustrious titles. Estimates as to just how many Kashubians and people of Kashubian descent live in Poland today vary wildly. In Poland’s 2011 census 232,547 people declared themselves to be Kashubian but just 16,377 declared Kashubian to be their sole nationality. Similarly while 108,100 people said they spoke Kashubian at home, only 13,800 declared Kashubian to be their native tongue. In both cases of language and nationality, Kashubians would also consider themselves Polish and speak Polish. Kashubian is a West Slavic language belonging to the Lechitic group of languages of northern Poland, and is thought to be a variation of the original Pomeranian language. Kashubian enjoys legal protection in Poland as a minority language, is taught in Polish schools, and can be found on many street signs in the region. The first notable Kashubian activist was Florian Ceynowa (1817-1881), who devised the Kashubian alphabet, formalised Kashubian grammar and published a collection of historical stories of life among the Kashubians. Other Kashubian activists include the author Hieronim Derdowski (1852-1902) and the physician and the writer Aleksander Majkowski (1876-1938), the leader of the Young Kashubian movement. One of the things you’ll notice all over Kashubia is the proliferation of folk art, both religious and secular. Of the many folk art disciplines, the Kashubians pride themselves on their embroidery. Kashubian embroidery uses just five colours: green, red, yellow, black and blue, of which the latter comes in three distinct shades. Green represents the forests, red the fire and blood shed in defence of the homeland, yellow the sun, black the earth and the three shades of blue representing the sky, the lakes and the sea. Ceramics has a centuries-old tradition in Kashubia, and again the designs are simple. Kashubian ceramics are decorated with a number of traditional designs including the Kashubian star, fish scales and local flowers, all embellished with wavy lines and dots. The Kashubians are also great weavers, even managing to weave buckets and jugs from pine roots and straw capable of holding water. Their weaving skills can also be seen on the roofs of the many thatched houses in the region. The Kashubians re also well known for a style of primitive painting on glass, woodcuts, and wooden sculptures including roadside chapels known as the Passions of Christ. Wood is also carved into elaborate walking sticks, animal heads and musical instruments, including the extraordinary burczybas, similar to a double bass but in the shape of a barrel with a horse hair tail. A bizarre instrument indeed, a burczybas is played by a total of three musicians. The Kashubians are great snuff takers, making it themselves and giving it to visitors as a sign of joy, good luck and an invitation to meet again. Traditional Kashubian snuffboxes are made from cattle horns that are boiled, flattened, and cut into unique shapes. The Kashubians believe strongly that all of these things mark them out as an individual race. 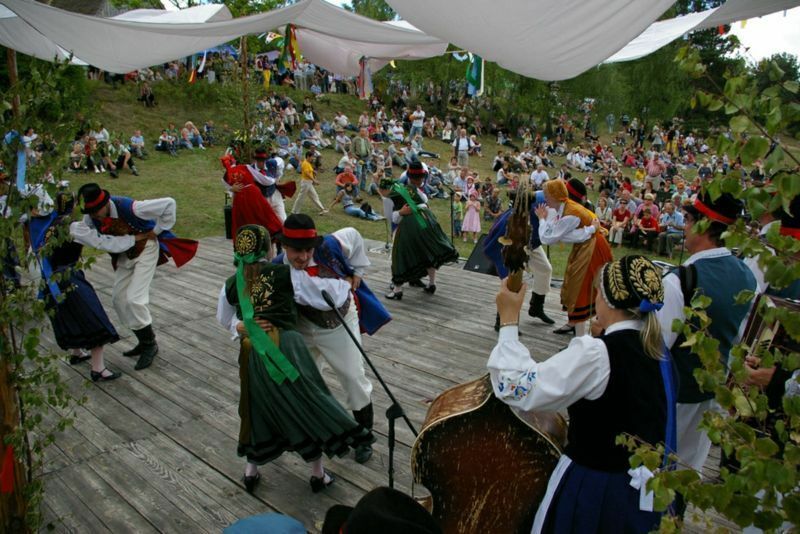 Many Kashubians even believe themselves to be the last surviving tribe of the ancient Balts.